There are endless possibilites for the inside of your home when it comes to brick and stone veneer. With slimmer, sleeker profiles, thin stone and brick veneers are being used in projects from interior walls, backsplashes and fireplaces to exteriors of entire buildings—both in new construction and renovations. Costs are less, as is the amount of structural reinforcement required. Its lighter weight and thinner profile enables thin stone and brick veneers to be used in areas that can not support a heavy load, and it is a viable alternative for projects with limited space or other special considerations. Infinity windows are 8 times stronger than traditional vinyl windows and 3.5 times stronger than vinyl/sawdust composites. If you are looking for a low maintenance window, an infinity fiberglass window is an excellent choice as it requires no sanding, scraping, and painting and will not rot, fade in color, warp, or dent. Infinity windows are less likely to leak or crack. Infinity windows meet Energy Star standards and block 92% of damaging UV rays. They also use 39% less energy to produce than traditional windows. A 20 year guarantee is offered on the glass with limited lifetime parts warranties from Infinity. Bordner is highly trained and experienced in installing Infinity windows from Marvin. Please contact our team of professionals today to learn more about this product and how to get the process started: 816-358-2102. Block unwanted drafts of cool air from entering your home by making your owndraft snake and placing it at the bottom of your door. Upgrading to a high quality vinyl or fiberglass replacement door is the most effective way to stop this type of energy loss. Add extra insulation to your home, and give special attention to your attic floor and basement ceiling. Currently, the federal government will reimburse homeowners 30% of the insulation cost up to $1500. Learn more about the insulation services offered by Bordner by visiting our website. You will save between 1 and 3% on your heating bill for every degree that you lower your thermostat, and a programmable thermostat can make this task an easier one to manage. Bordner has been a trusted home improvement company in the Kansas City area for more than 20 years, and we would appreciate the opportunity to help you with your next project. Contact us today to learn about some more winterization solutions for your home. Yes, you read that right- Christmas comes a little early here in Kansas City! At Bordner, we are committed to being a positive force in our community, so we were thrilled to partner with Christmas in October for a wonderful community service project. If you haven’t heard of Christmas in October (CiO), they are a great organization that rehabilitates houses of low-income homeowners in Kansas City- at no cost to the homeowners. By rebuilding and repairing houses, they revitalize neighborhoods and allow needy families, elderly or disabled residents, and veterans to live with dignity. Winters can be cruel here in Kansas City, so CiO takes place on the first two Saturdays of October, making sure repairs are completed in time for the home to be warm and safe before winter weather hits. We were approached to help renovate the home of a 65 year old lady who could not afford to make the necessary home repairs. CiO volunteers were able to do much of the work on the home, but needed a skilled stucco installation team to ensure a good quality result for the homeowner. Our Kansas City stucco installation team was happy to help, replacing damaged stucco and creating a good seal to make sure the repairs will last for a long time. It’s an honor for us to be able to help out with projects like this, so we were humbled to receive this note from the homeowner. If you would like to get involved and make a difference here in Kansas City, visit the Christmas in October site and find out how you can help. Why Choose Vinyl Siding for Your Kansas City Home? While a wooden exterior is very attractive, it does involve more maintenance. Fortunately, vinyl siding now comes in styles that look as authentic as real wood. Available in a wide range of colors and designed to mimic everything from real wood to cedar shake, vinyl siding can easily mesh with any new or existing home exterior. Vinyl siding has been around for over 50 years and was introduced as a replacement for aluminum siding. Early vinyl wasn’t without its faults; it cracked, warped and faded. But now with huge gains in vinyl material compounds, along with sophisticated vinyl siding installation techniques, vinyl has gained over 32 percent of the nation’s siding market. While over an extended period of time vinyl siding will fade slightly there really isn’t a great deal of maintenance involved. Wash on a regular basis to remove any dirt, mold or mildew that may have accumulated using nothing more than a soft brush and vinegar/water solution. Rinse thoroughly and that’s it. Most vinyl manufacturers don’t recommend using a power washer as the force of the water could possibly damage the panels and drive water behind them. Ready to find out more about why vinyl siding is right for your home? Call our Kansas City siding installation company today at 816-303-0510, or visit Bordner. As the temperature continues to drop here in Kansas City, you may notice your energy bills increasing. Heating your home all winter is already a large expense, but if your house has vulnerable areas for energy loss, you could be throwing money away. One of the best ways to address energy loss in your Kansas City home is to have replacement windows installed. Adding Energy Star windows to your home can lower your household energy bills by as much as 15%- a huge savings when calculated over the life of the window. If you are looking for a Kansas City window installation company, contact Bordner. We carry a variety of energy efficient windows by Infinity from Marvin, and our experienced window installation crew can have your new windows up in no time! If you have been trying to find the best time to make improvements to your home, it’s time to call Bordner. Our Kansas City home improvement company can help you achieve your goals with quick, affordable, and most importantly, high-quality service. After 60,000 happy Kansas City customers and over 20 years of experience, we know how to deliver the results you want. As the temperatures drop this fall and winter approaches, it is the perfect time to get the ball rolling on your home improvement projects. Not only are prices on materials lower in the winter, it’s also a slower season, making scheduling much easier. You may also be glad to know that if you are having roofing repairs done or insulation added, it won’t effect the internal temperature of your home much. We’d love to help you improve the energy efficiency, look, and value of your home, so give us a call today to set up a consultation with one of our experienced agents about your Kansas City roofing, siding, window and door replacement, or stucco installation needs. Fall is the perfect time to start thinking about ways to save money and stay warm this winter. Don’t wait until it gets cold outside; take a look at your home now to see how you can improve energy efficiency and prevent heat loss. One of the best ways to keep the heat in is by adding insulation. Many homeowners don’t realize that their attic is poorly insulated. Just like a hat helps to hold in your body heat on cold days, insulation in the attic helps keep all that hot air in your house where you can actually enjoy it! If you’re looking for a Kansas City insulation company to install fiberglass insulation in your attic, contact Bordner today. We can also add insulation in conjunction with replacing your roof, for a stress-free process that will make a huge impact on your future energy bills. To learn more about blown-in fiberglass insulation, give us a call today and set up a free consultation. Fall weather calls for a warm, toasty fire, and a beautiful fireplace can make a wonderful focal point for your living room. An unattractive fireplace can detract from the overall look of the space, but thanks to lightweight cultured stone, you can create the elegant, classic look of a stone hearth. At Bordner, we install cultured stone veneer both indoors and out. Due to the lighter weight of this type of stone product, it does not require an extensive support structure like regular stone, making it ideal for interior use. It’s also a great low-maintenance, low-cost option. We use only the best quality products here at our Kansas City stone installation company, including Boral Cultured Stone. Take a look at some great examples of cultured stone fireplaces for any home style, and give us a call today to learn more about adding cultured stone to your home. If you own a luxury home in Kansas City, it only makes sense to choose the very best products and materials. Your home is an important asset, and maintaining it in impeccable condition is important. 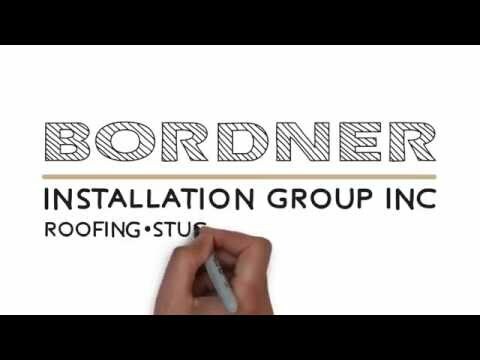 When it comes time to replace the roof of your home, call us at Bordner. Excepting natural slate, all of these hard surface roofing products can be had in an expansive range of colors, allowing you not only a durable product, but also maximum potential for creating a stylish home. Not all roofing products are created equal, so be sure to consult an experienced roofing contractor before choosing the roof tiles for your home. Those of us at Bordner Roofing would be glad to provide product knowledge and guidance to help you make the right decision for your home. To learn more about our Kansas City roofing services, contact us today!